Black Wings worked to popularize aviation careers for African Americans. A promotional leaflet heralds the publication of Black Wings. 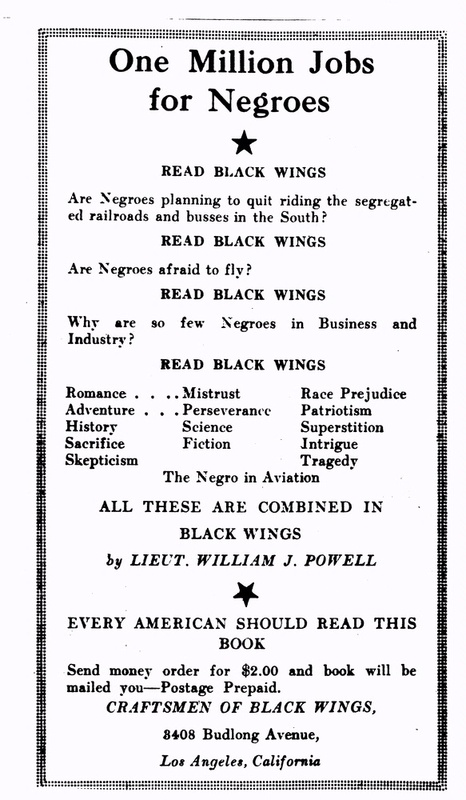 Author William Powell aimed to recruit African American youth for work in aviation to end forever the myth that blacks lacked the aptitude to fly and to promote racial harmony.